Before bringing your child to us for the first time, please prepare him or her for this new experience. For young children, there are excellent children's stories which describe a visit to the dentist, our personal favorites are Dora the Explorer - Show me your smile, a visit to the dentist and Barney Visits the Dentist. Please discuss the positive aspects of dentistry with your child. 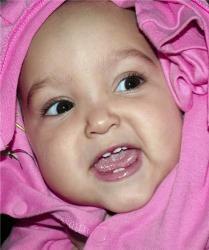 Convey good feelings to your child about dental visits being a part of growing up. Please do not say, “The dentist will not hurt you.” Instead say “The dentist is going to show you lots of new and fun things to make your teeth sparkle.” Morning appointments for little ones will catch them when they are most refreshed and most accepting of new experiences. Expect your child to react well and enjoy the first visit to our office and chances are he or she will do exactly that. As well as preparing your child for that important first visit, we must be thoroughly prepared for providing the best possible care for your child. 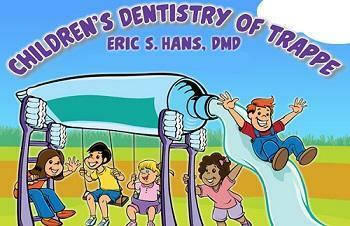 Please be candid in providing us with ALL information pertinent to your child’s dental, medical and social situation. When you schedule the first appointment we will mail you patient registration and health history forms for your completion. For children under four we begin the important first visit by introducing ourselves and the office environment. Then a thorough exam is performed. We believe in having the child determine the pace of the first visit, if your son or daughter is so inclined and ready we will perform a thorough cleaning, fluoride treatment and any necessary radiographs (x-rays) as indicated by your child's needs. After a thorough study of our findings we will prepare a treatment plan for your child’s dental needs, your time constraints and budget. Please do not be upset if your child cries. Children are often afraid of anything new and strange, and crying a normal reaction. Please permit us the time to develop rapport with your child. After the first visit encourage his or her independence and allow us the privilege of bringing your child back alone. Parents, and siblings are welcome in the treatment area. Occasionally we provide treatment alternatives for special children. Treatment under general anesthesia is available by Dr. Hans at Phoenixville Hospital. For your convenience prior to visiting our office, please click here to print the New Patient Health History Form, complete the information and bring it with you to your first visit.